Today I had the pleasure of participating in a cooking contest at the lovely Omnivore Books on Food in my neighborhood in SF. Periodically, the owner of the book store hosts these contests; a theme is selected, anyone can enter, tasters pay a nominal fee at the door and the winner splits the pot. I always try to enter when I am in town because it is a great way to get out there in the food community and share my recipes. I was thrilled to come in second with an Israeli couscous summer salad, which tied with an interesting and delicious tomato geleé. The winner was a fresh, bright yellow gazpacho — awesome! All in all, a great competition with friendly competitors and tasters. Thanks, Omnivore! I brought two entries. 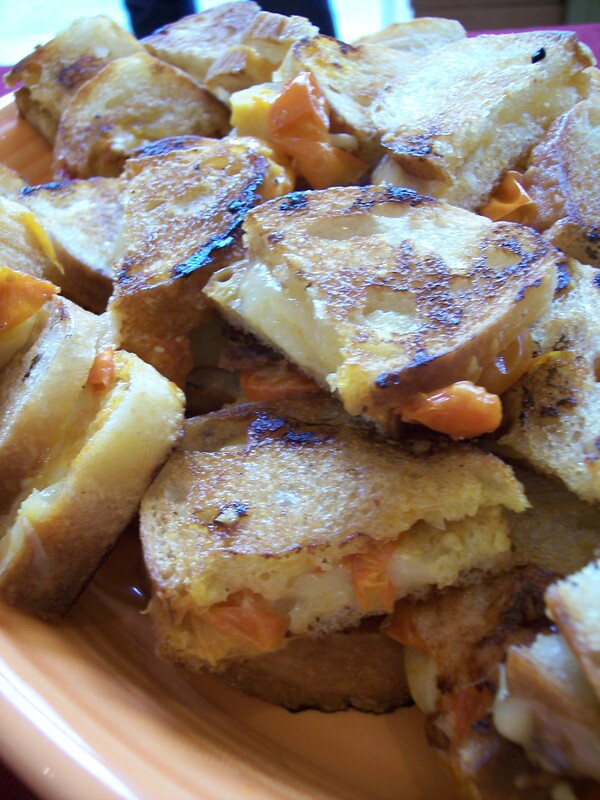 One was a very simple version of mini grilled cheese, with cherry tomato jam and white cheddar (see below). 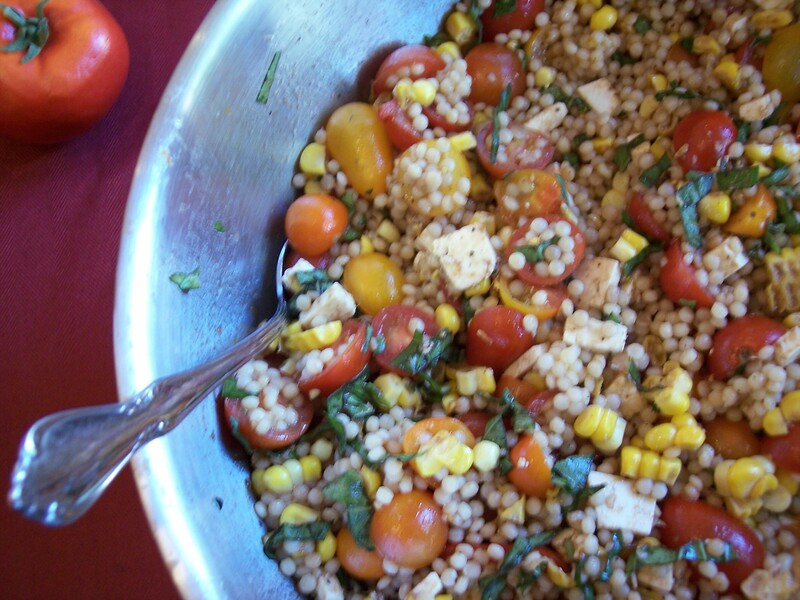 The other was an Israeli couscous salad, also featuring cherry tomatoes as well as fresh corn, basil and ricotta salata cheese. This salad is perfect for picnics and summer lunches. The couscous has a great mouth-feel (which makes it a nice comfort food), and the corn and cherry tomatoes add brightness and sweetness. The basil and cheese help to round out the flavors and textures. 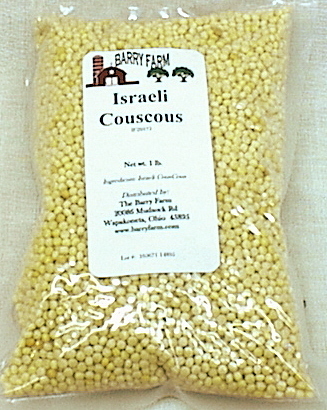 A word on Israeli couscous here, which is quite different from regular couscous. Each kernel is about the size of a tapioca ball. I know it can be a challenge to find in a regular old grocery store, so I buy it at Trader Joe’s or my natural foods store in the bulk section. Do hunt it down though, as it makes all the difference in this salad! Prepare Israeli couscous according to instructions on box. Cool. Prepare tomatoes and corn. Toss with cool couscous. Toss in basil and cheese. Add vinegar, oil, salt and pepper. Mix. Chill for 30 minutes to let flavors meld.